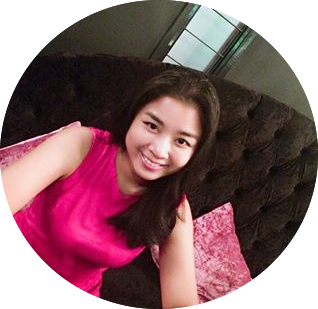 I'm sure your'e pretty much puzzled on how to succeed in the Fight Night party in the most famous clubbing application on Facebook, Nightclub City. I was too, until I've did some trial and errors, with surfing the net for the possible tips to achieve the perfect 20 fights in the 10-minute period. So here's the thing. My club in the DJ Alley gets to have 8 parties and one of it is the Fight Night party. Everyone loves a good bar fight and some will even pay to watch. Cash in on this by throwing a Fight Night party. Note: Troublemakers means the ones who start the fight, not both of the troublemakers. ♥ Jerks in your club. A lot of them if you can, as they usually are the ones who starts the fights. ♥ Finally, double the amount of your normal bouncers. I started Fight Night with 3 bouncers and ended up with 5 bouncers. The fights just broke off like chicken eggs in the morning! ♥ Several seats that has only 10 luxury each- I put 9 of them. In the end of this re-decoration, my club's popularity was only around 350 and luxury 120. During the party, it was super crazy at the start! The Jerks started to fight all the way like, one second at this corner and another over there and another and another and another! It was like fireworks! I had like, 3 fights at a time, twice! 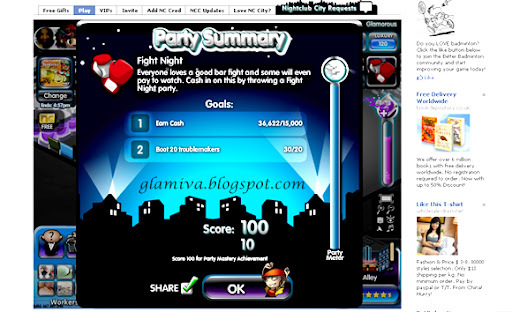 Below is a snapshot of my achievement for Fight Night party, several seconds before it ended. I got $36,622 and booted 30 out of 20 troublemakers! Yay me! 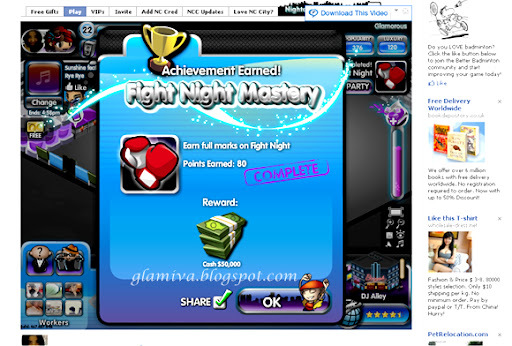 And so I got the Fight Night award, 80 points and $50,000 cash! Hope I've helped you out there and do comment- how are you doing with Fight Night?